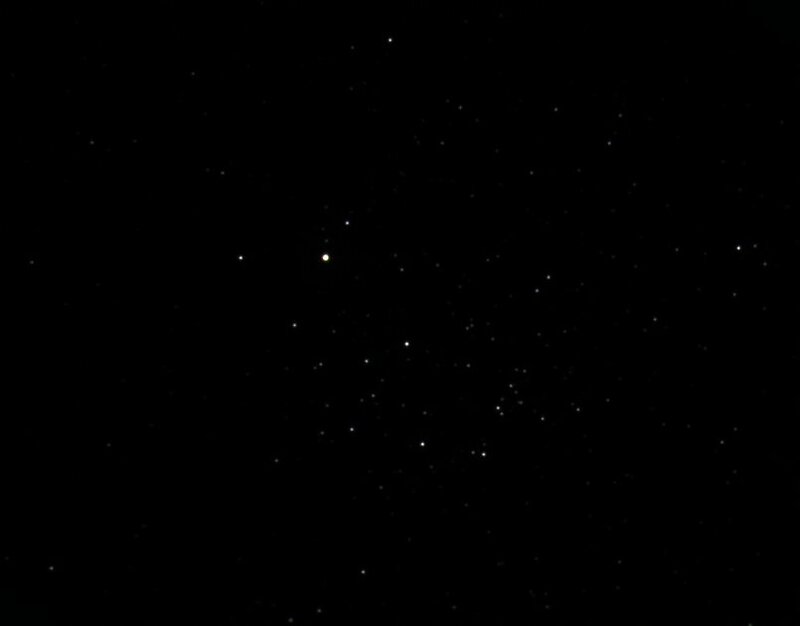 Overall, Calstar 2011 was another success. 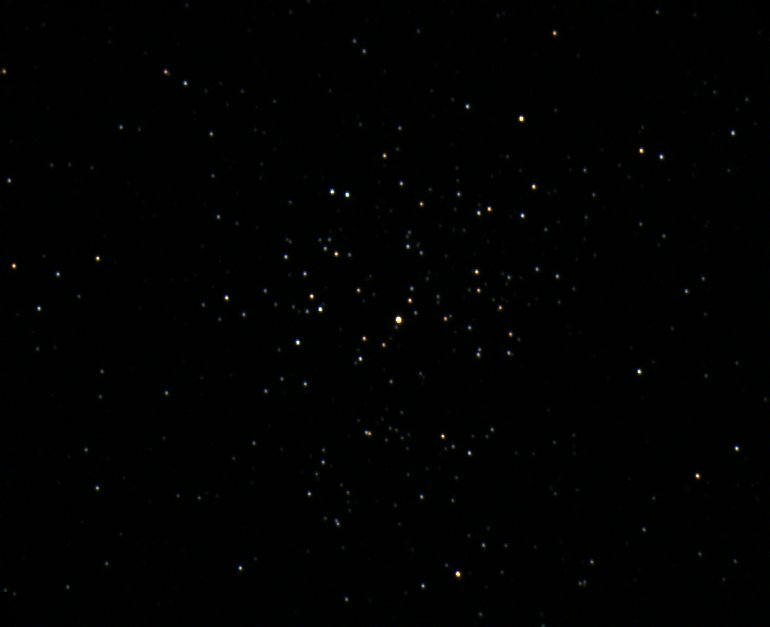 For the most part the weather was good, aside from some clouds early in the evening on the last night. 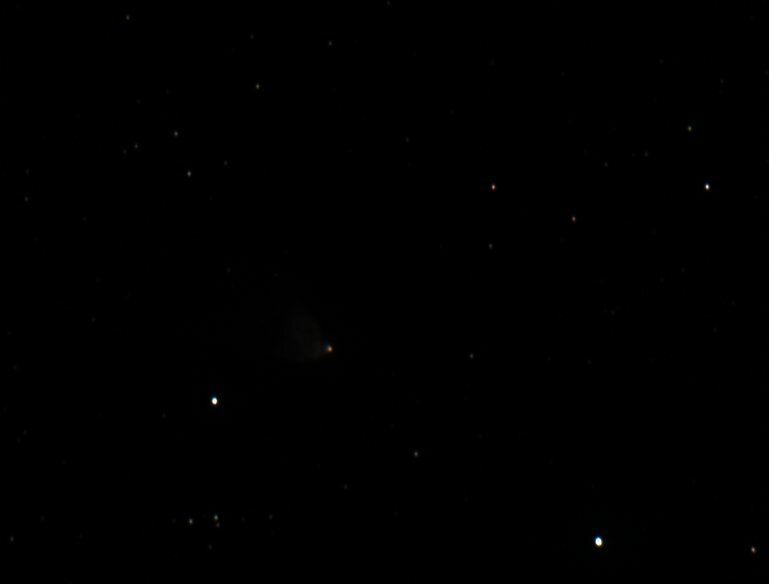 We found some more new objects to attempt to photograph, some of them pushing the limits of the current setup. 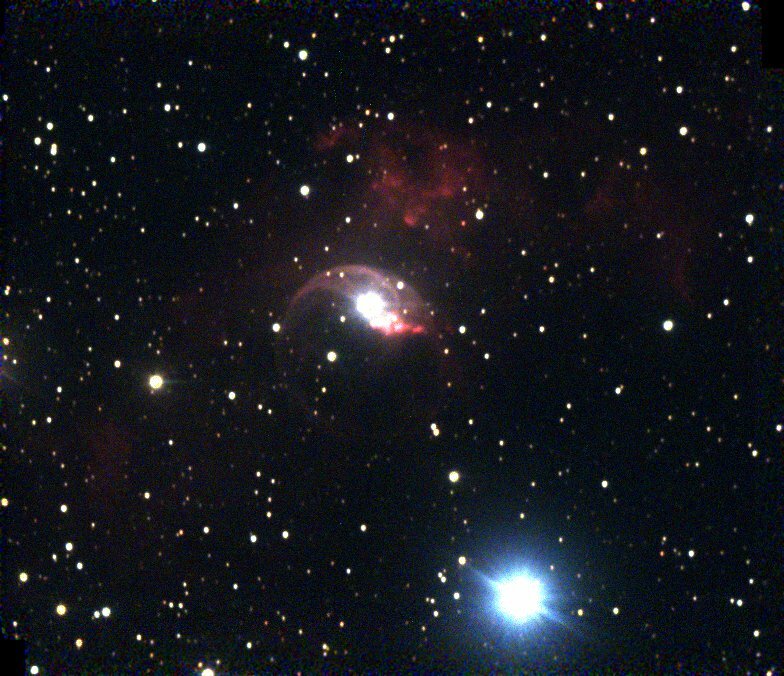 Emission nebula in Cassiopeia. The 'bubble' is supposed to be created by stellar wind from the central star colliding with surrounding gas. 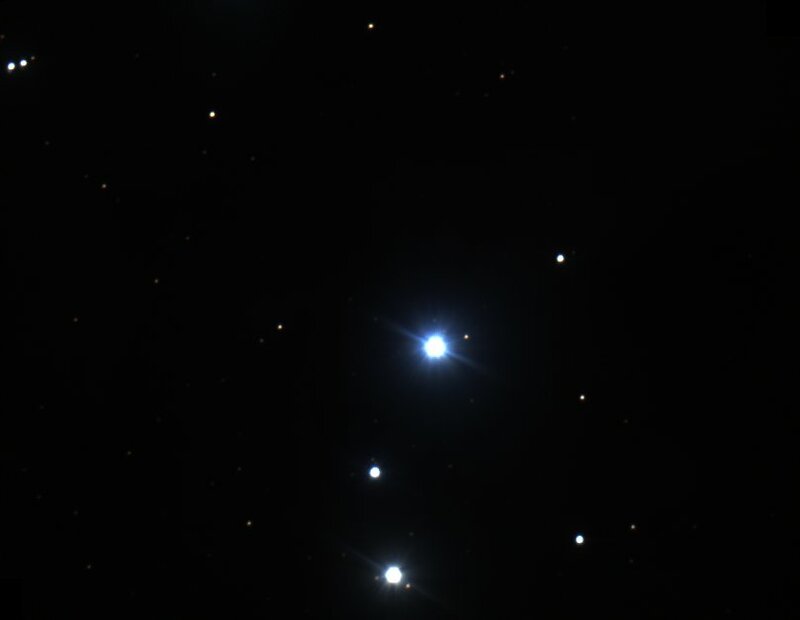 Note the much brighter object near the central star. 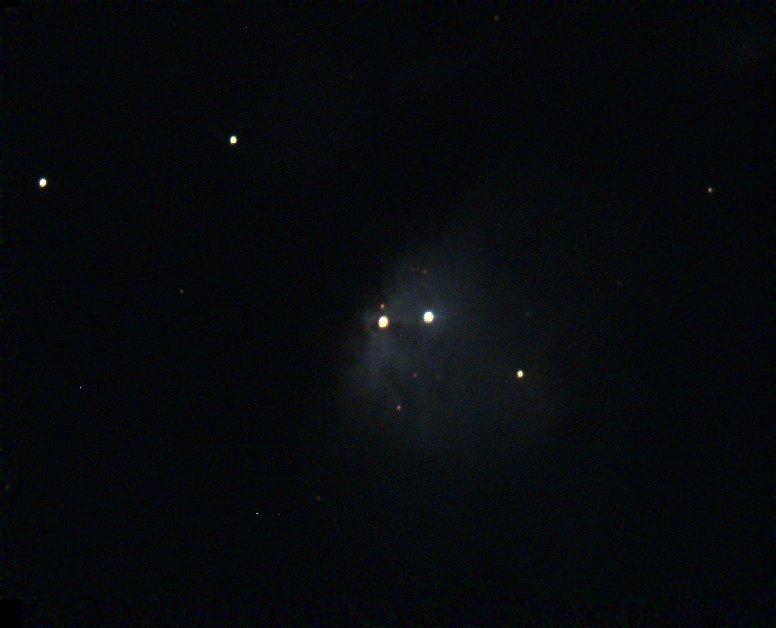 Bright reflection nebula near the Orion nebula. 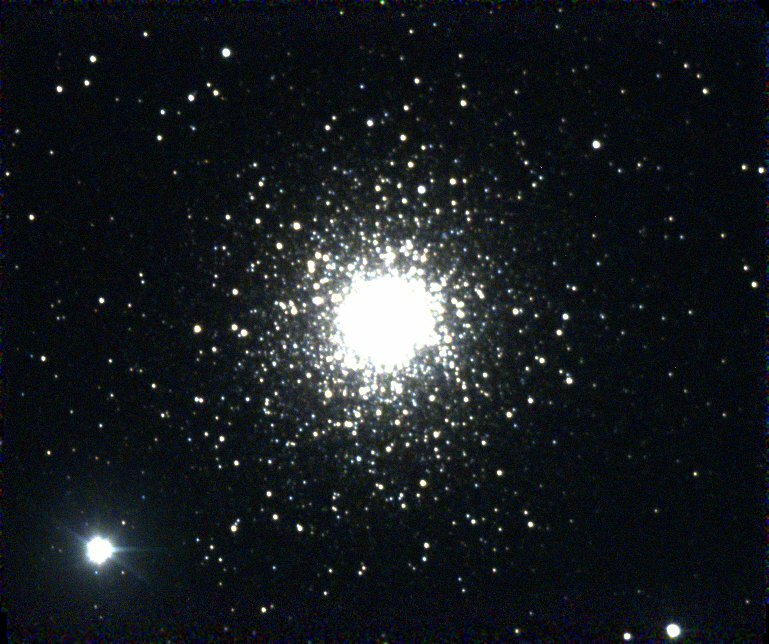 It is fairly bright, but the bright stars contained within make it more difficult to see visually. 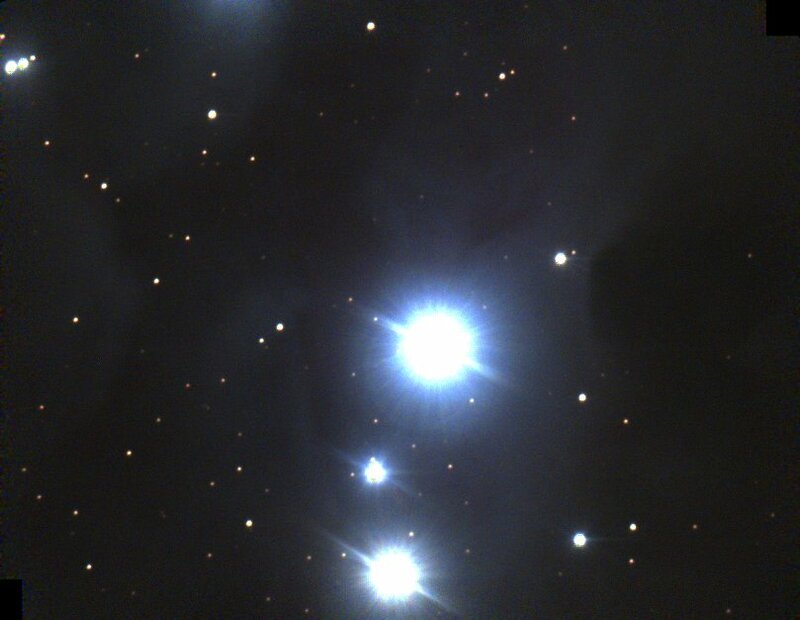 Reflection nebula in Orion. 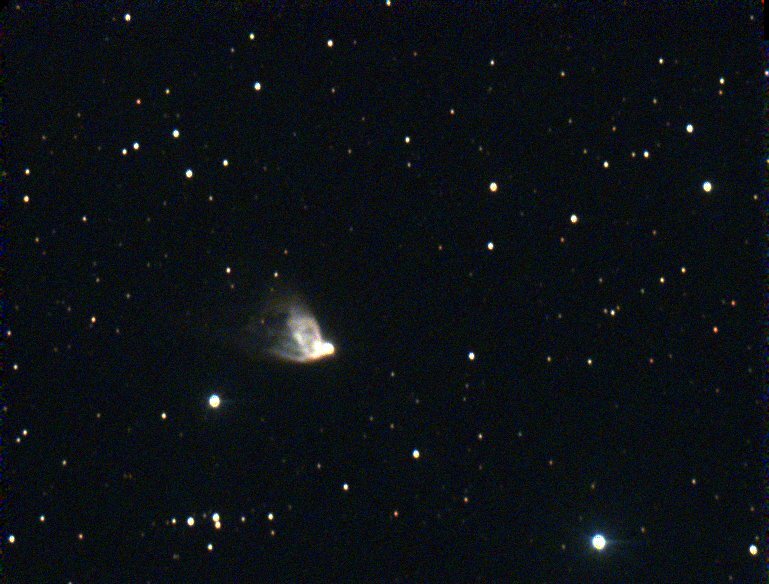 It looks like a little ghost! 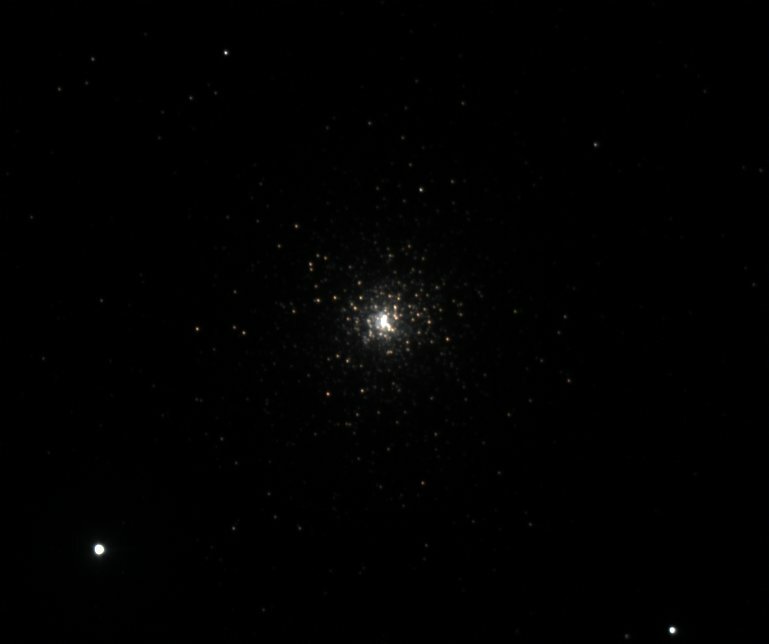 Compact globular cluster in Pegasus, approximately 40000 light years distant. 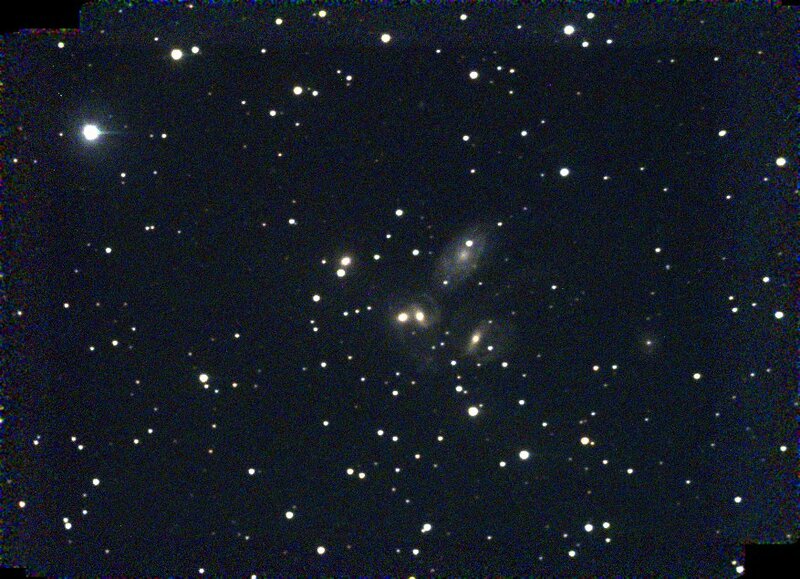 This famous galaxy cluster in Pegasus, known as Stephan's Quintet, is >200 million light years distant. 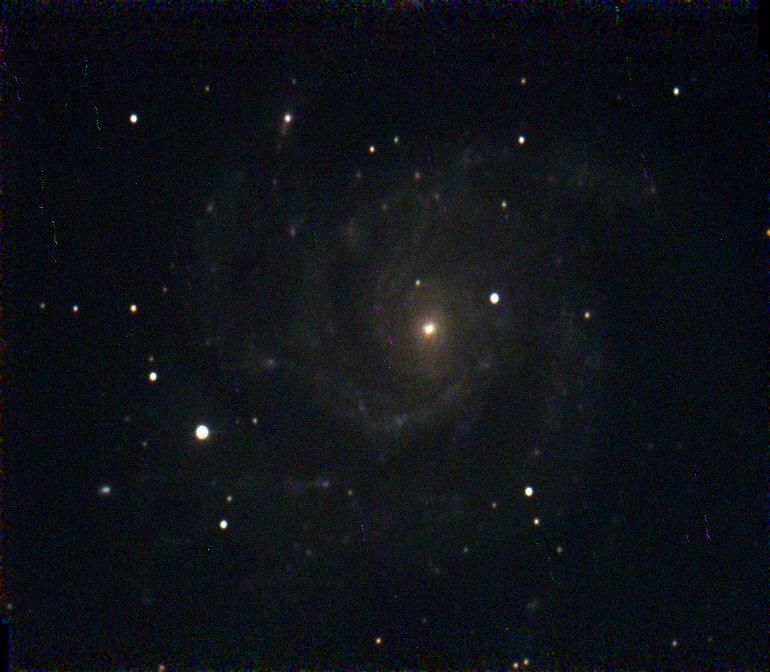 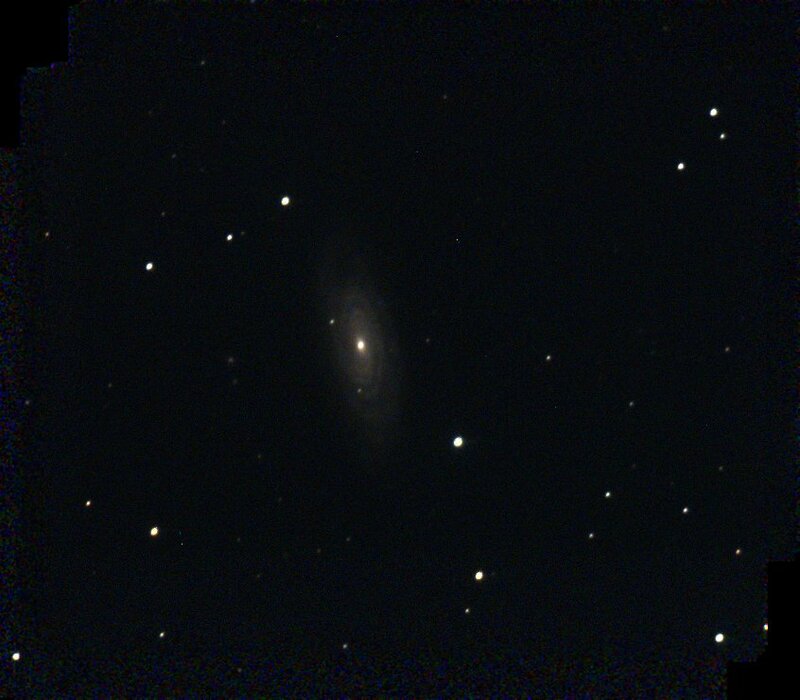 However, the brightest galaxy (NGC 7320) is apparently much closer (40 million light years). 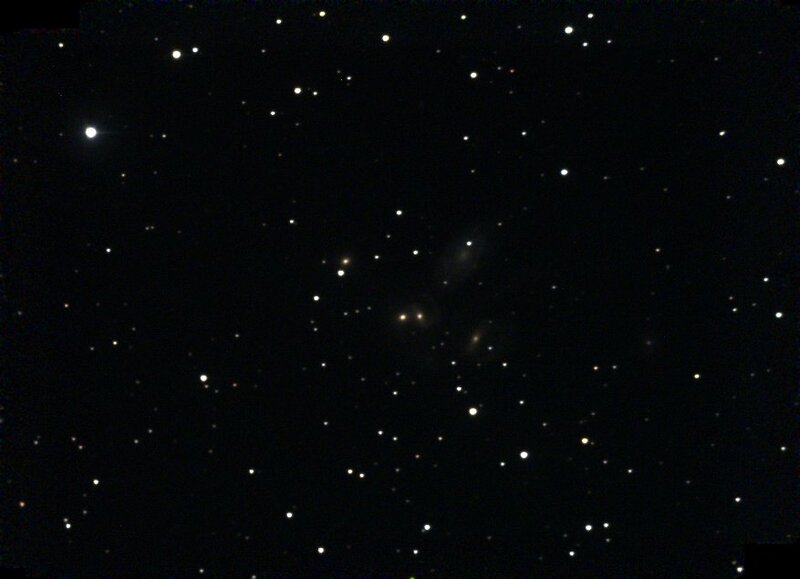 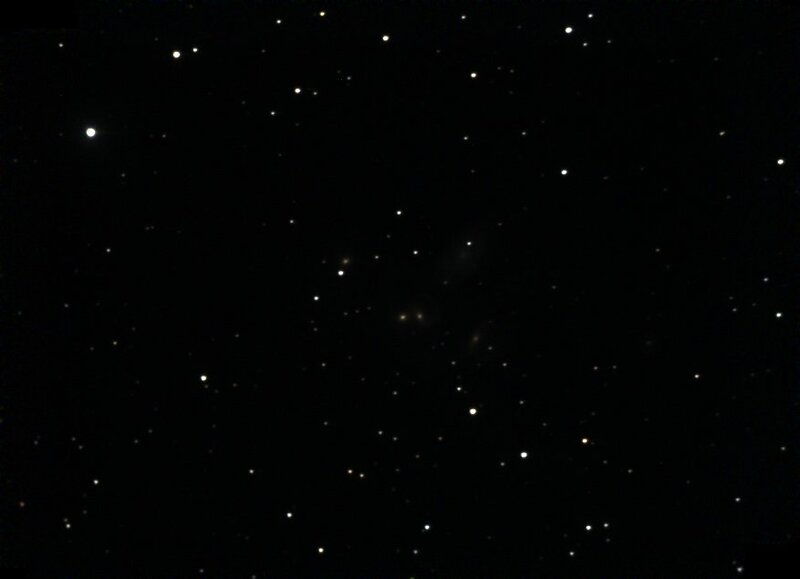 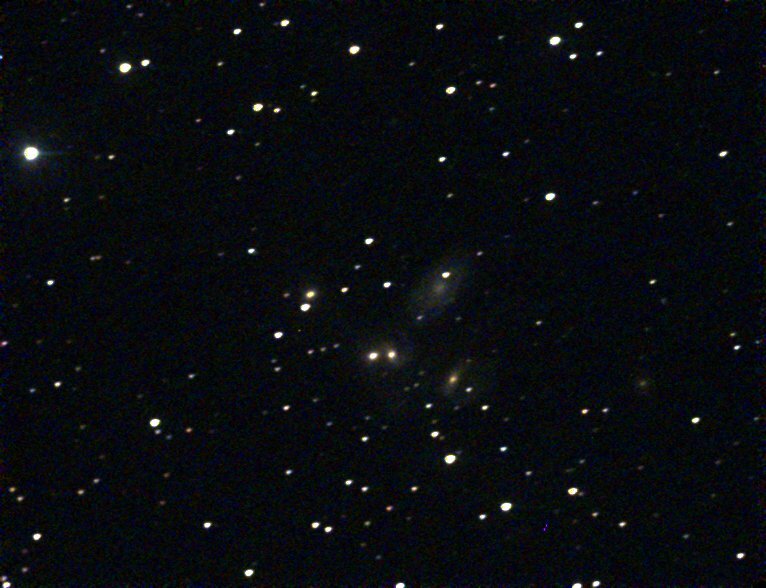 Stephan's Quintet, from 60s exposures. This is a spiral galaxy in Pegasus that Kathy chose from the star chart. 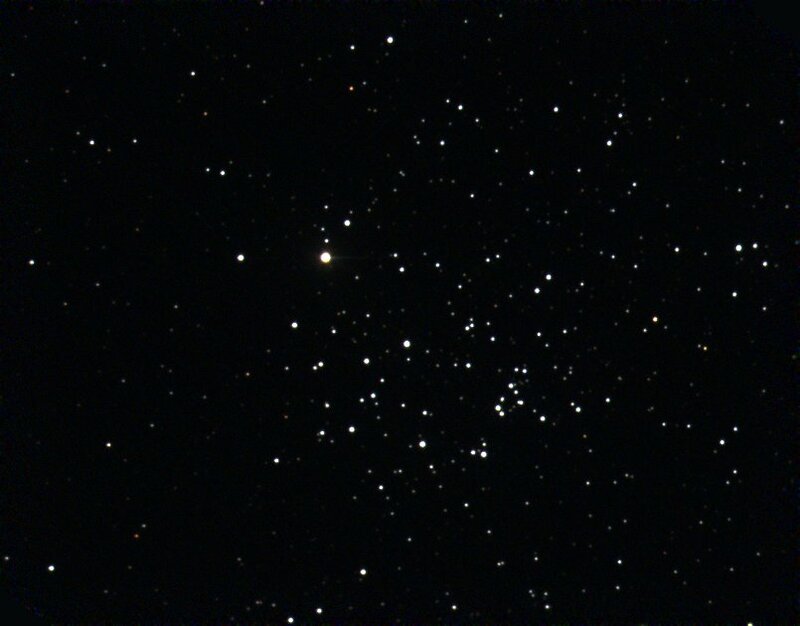 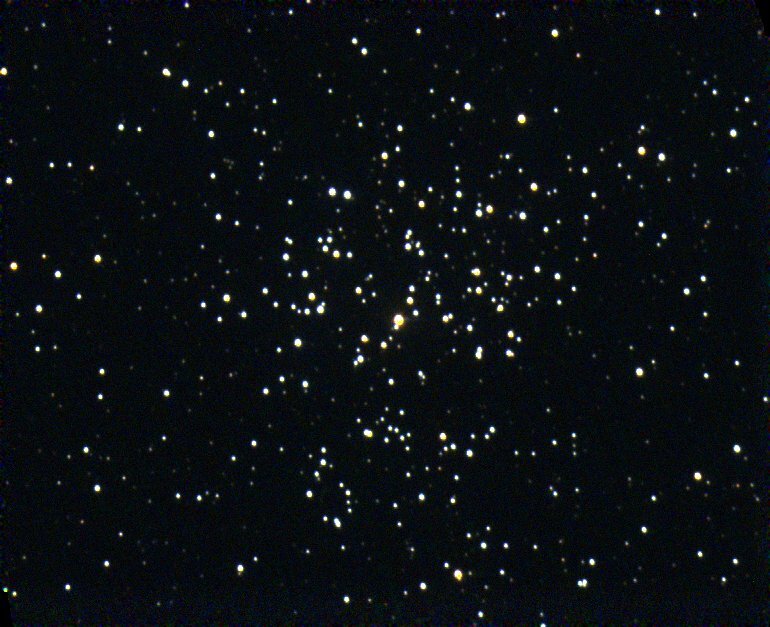 One of three open clusters (along with M36 and M38) in Auriga. Estimated distance: 4700 light years. 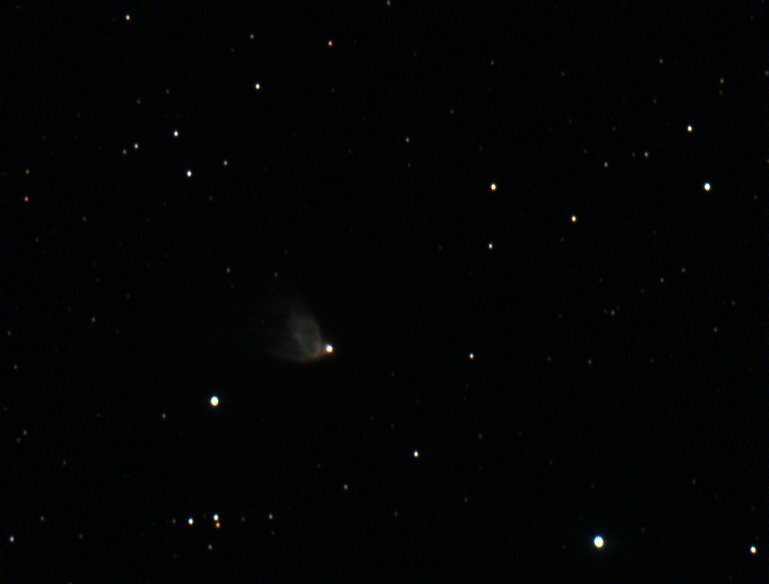 This comet-like nebula is known as Hubble's Variable Nebula because its appearance changes over timescales as short as a few days. The nebula is illuminated by the bright star at its tip. The brightness fluctuations are thought to result from shadows cast by moving dust clouds swirling around the star. 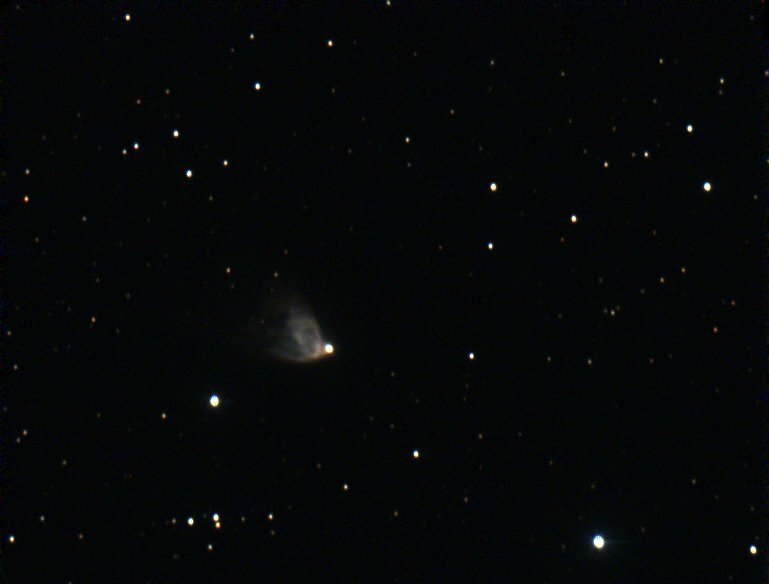 This is a planetary nebula in Aquila.  Visually it appeared as a faint glowing disk. 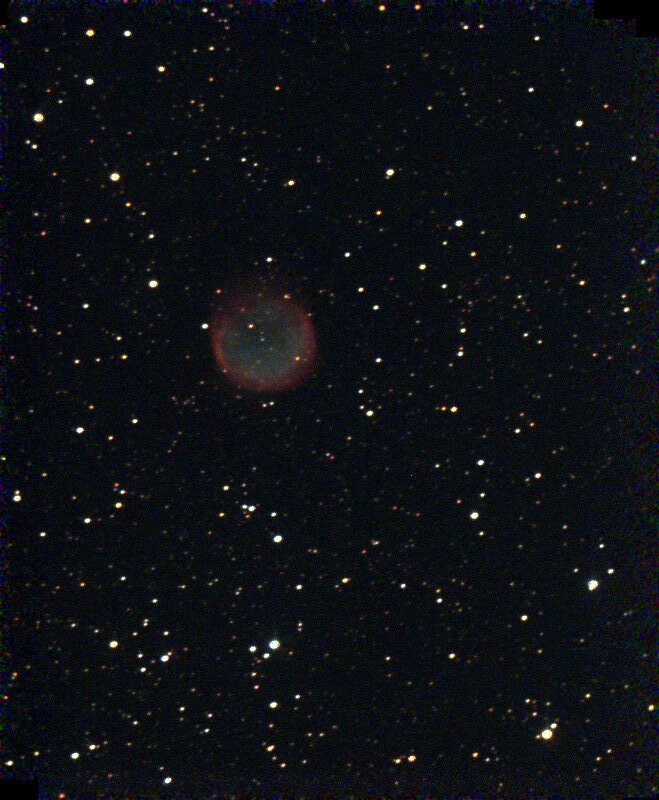 As with many planetary nebulae, a blue star appears in the center. This is an edge-on galaxy in Andromeda with a prominent dust lane appearing in photographs. 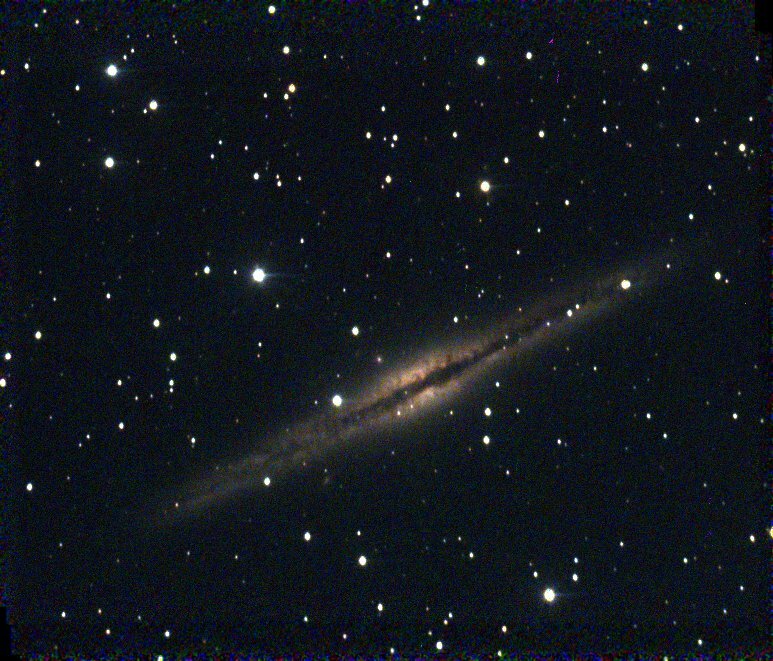 Visually, the galaxay appeared as a faint streak of light, and the dust lane was impossible to discern. 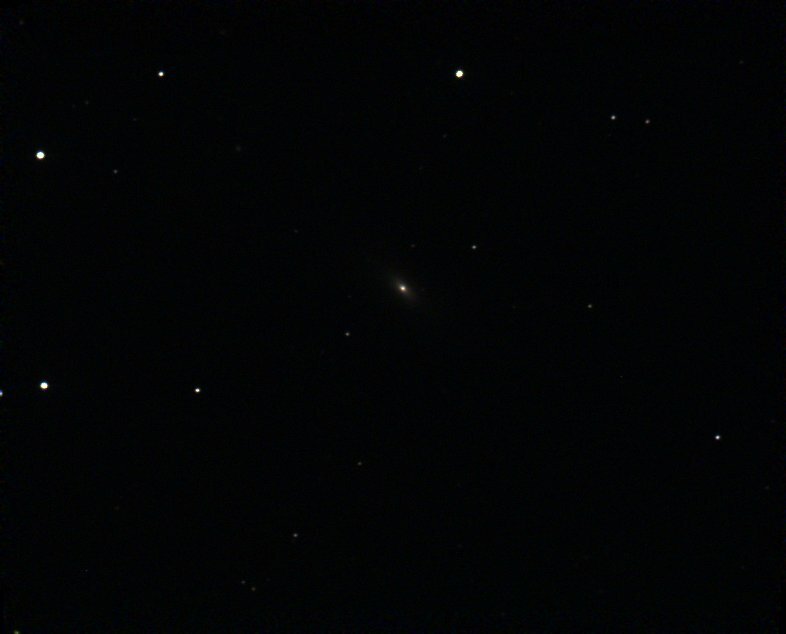 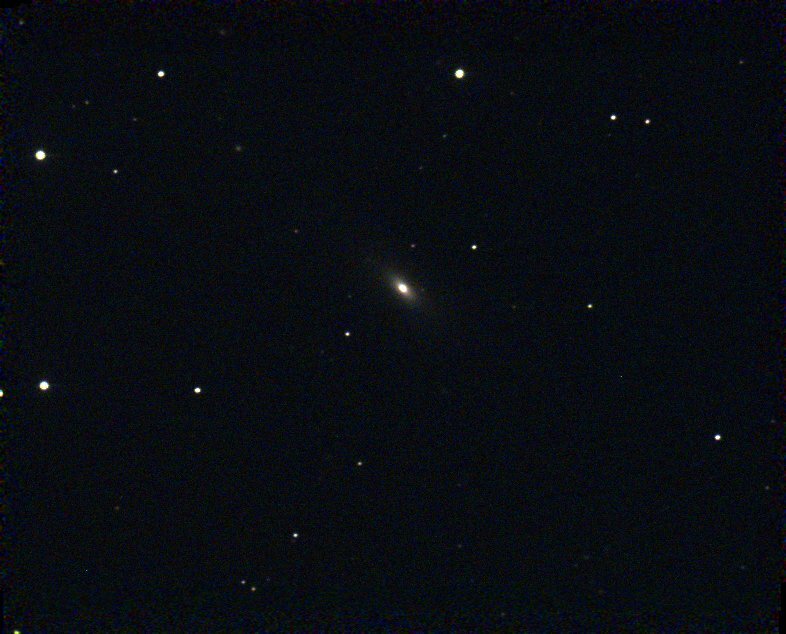 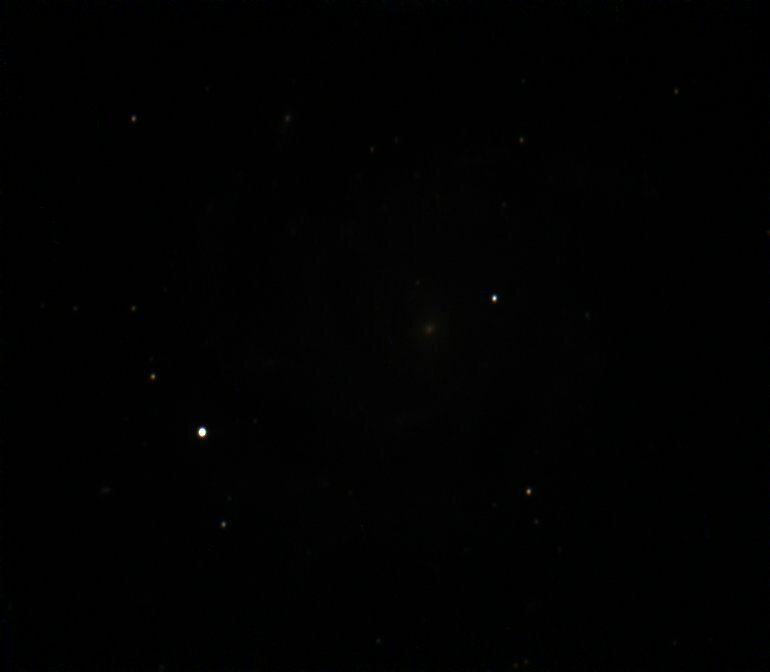 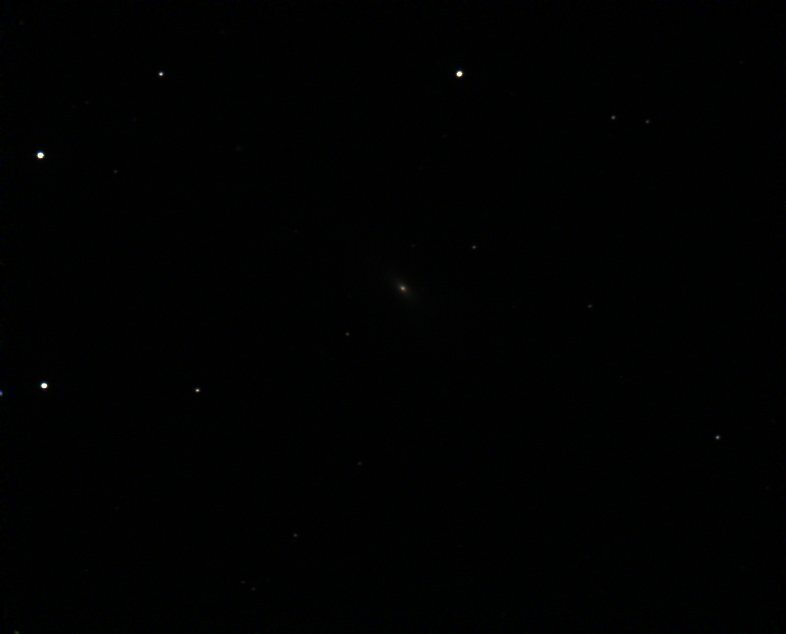 This is an elliptical galaxy in Aquarius, not far from NGC 7606. 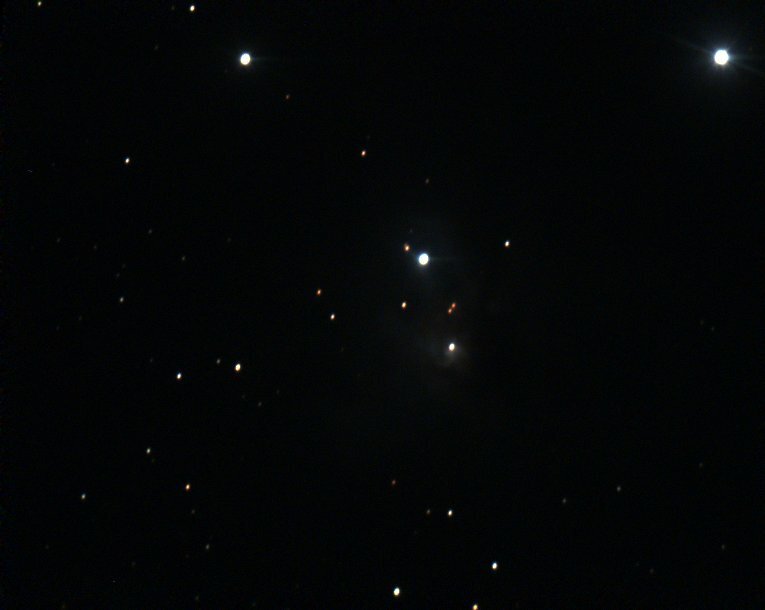 Visually, it appeared as just a small, faint fuzz patch. 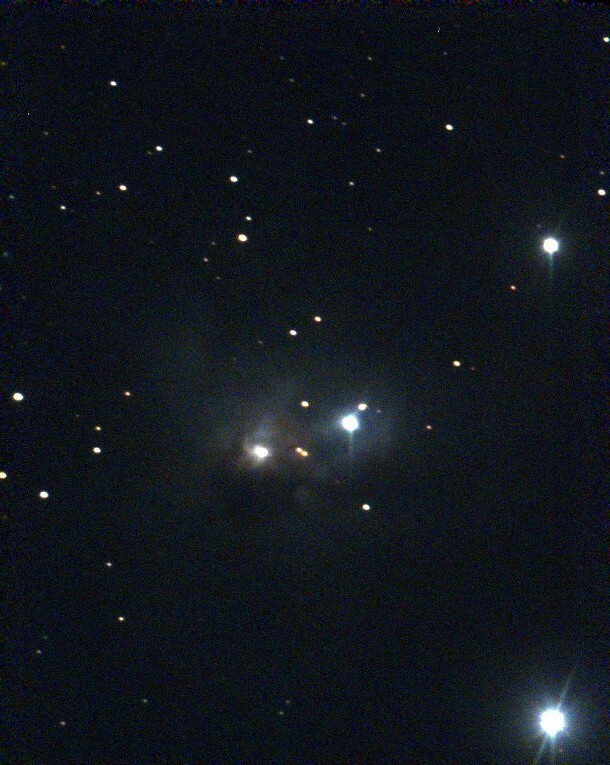 Here you can see only the brightest portion of this complex of reflection, emission and dark nebulae in Orion.